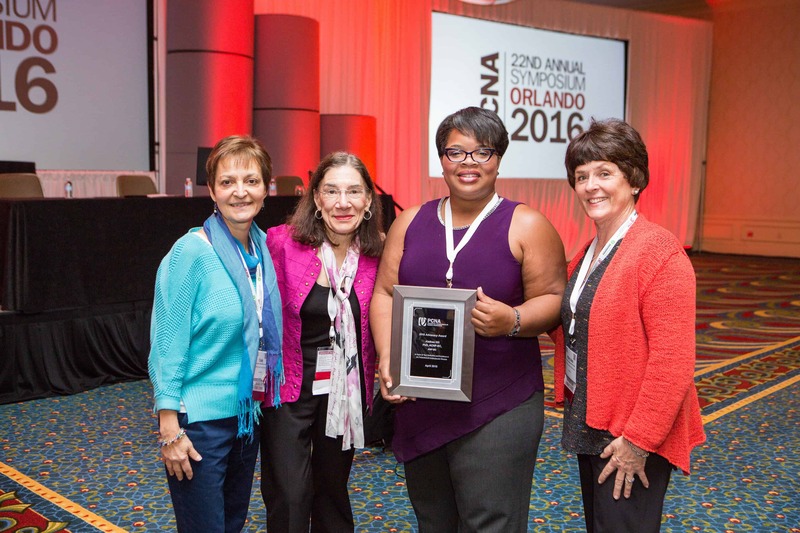 Alethea Hill, PhD, ACNP-BC, ANP-BC, received PCNA’s first ever Advocacy Award for CVD Prevention. Here, she recounts her experiences and shares her advice for how to get started with advocacy. In previous years, I demonstrated my support for various initiatives by way of electronic petitions and local community engagement. Time went on, some issues changed while others stayed the same, so I began to wonder what else could be done. My participation in the Call to Congress, Stop Diabetes with the American Diabetes Association was an experience that changed my perspective on advocacy forever. During the experience, we walked across the lawn of the Capitol urging policymakers in the House and Senate to support federal funding for diabetes research and prevention programs at the National Institutes of Health and the Centers for Disease Control and Prevention. In face-to-face meetings with legislative aides in Senator Shelby’s and Rep. Byrne’s office, I arrived equipped with powerful infographics demonstrating the current impact of diabetes on the state of Alabama. The statistic that resonated most with them was the burden of cardiovascular disease as an associated risk of diabetes, as most are not aware of the connection. Advocacy serves as a conduit to be vocal and take action on issues at the local, state and national level. I got involved in advocacy work as a means of having an individual and collective impact on issues that matter most to me. The complexity of being a community resident, mother, advanced practice nurse and educator made me acutely aware of the ability, that not only I, but we all have to effect change at some level. Over the years, risk awareness, wellness, and health promotion related to diabetes and cardiovascular disease within the community has been my focus. Given diabetes is a CVD risk equivalent, I prefer to direct my efforts toward the prevention/risk identification/risk awareness aspects of care as it relates to CVD. To a person that has never been involved in advocacy, I would encourage you to find the one thing you are most passionate about and begin to inform yourself. Find a way to get involved locally and network with the individuals that influence decisions related to the movement, as well as persons/families affected by it. Advocacy work can be hard, and on occasion, lack immediate reward so work-life balance is important if you are going to stay energized and complete the course your passion leads you on!